Malta’s weather and climate are strongly influenced by the sea and have all the characteristic of the Mediterranean feeling. The climate is typically Mediterranean, with hot, dry summers, warm and wet autumns, and cool winters. The temperature is quite stable, the annual being 18oC (64oF) and the monthly averages ranging from 12o C (54oF) to 31oC (88oF). Winds are strong and frequent; the most common is the cool north westerly, the dry north easterly, and the hot humid south easterly. Winter can be quite mild with only the rare occurrence of cold weather, brought by north and north east winds from central Europe; daytime temperatures nearly never fall below 10oC (50oF), while night-time winter temperatures almost never fall below 0oC (32oF). Summer is warm, dry and very sunny. The weather usually starts to warm up at the end of April, it rarely rains from May to August. 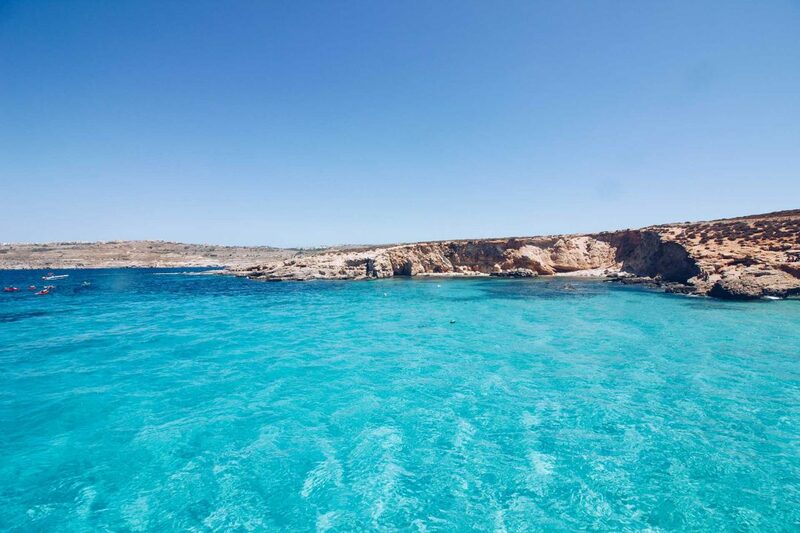 July and August are Malta’s hottest months with daytime temperatures usually above 30oC (86oF) and quite often above 35oC (95oF). In Malta, humidity is rather high due to the fact that Malta is an island. In August and September there is high humidity in the air. However, daytime temperatures in summer are usually mitigated by cooling sea breezes, especially along the coast.